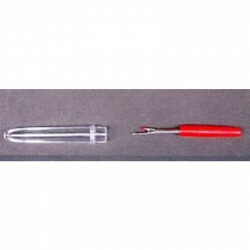 7cm seam ripper for fragile work. Allows to open the buttonhole. 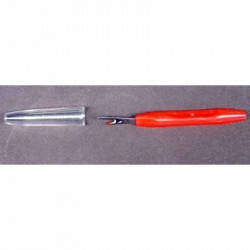 14cm seam ripper for heavy work. Allows to open the buttonhole. L'excellence. Usiné à l'ancienne. Un objet de luxe se réferrant à votre passion. Fait porr durer. Forvu d'ue borcle afin qu'il puisse être suspendu à une chaine or à un ruban. Excellent, old style. Luxeous object reffering to your passion, made to last. Comes with a loop. 11cm seam ripper for medium fragility work. Allows to open the buttonhole. 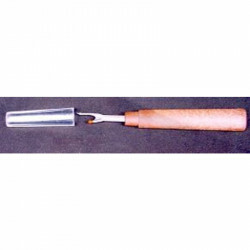 Seam ripper for very heavy work. 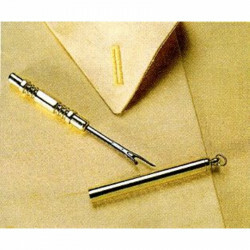 Allows to open the buttonhole.